It’s easy to grab all your favorite flowers at the market and wind up making a bouquet that looks like horticultural confetti. 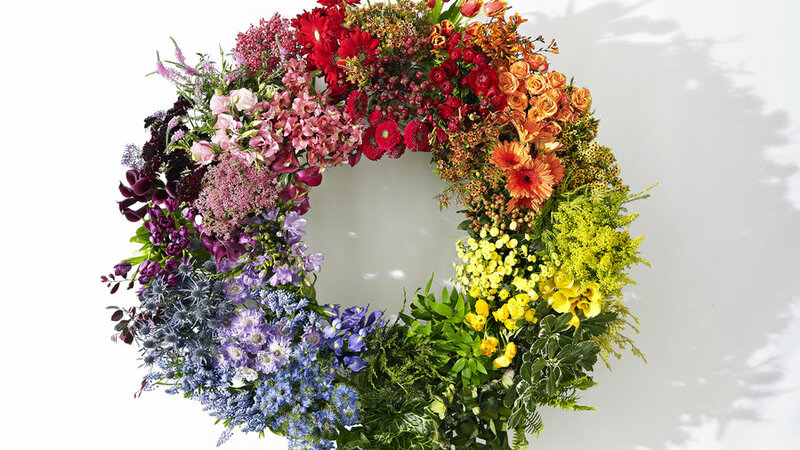 Yes, flower arranging is an art, but it’s also a bit of a science, says floral expert Debra Prinzing. Her method: Take cues from the color wheel. “By using the color wheel, the process becomes almost like paint-by-numbers,” says Prinzing, author of Slow Flowers: Four Seasons of Locally Grown Bouquets from the Garden, Meadow and Farm (St. Lynn’s Press, 2013; $17). For example, you’ll rarely go wrong by combining colors that are opposite each other on the wheel—yellow roses and purple lavender, say. Prinzing recommends buying flowers for your arrangements at the farmers’ market or growing your own. “They’re much fresher since they’ve likely been cut within a day or two of arriving at the market,” says Prinzing. Also, locally grown flowers are typically more unusual and delicate than blooms that have been bred to survive long hauls to the supermarket. For a bold arrangement, pair hues that sit across from each other on the color wheel: red with green, orange with purple or blue. This works whether you use vibrant versions of each color or vary the intensity, says Prinzing. Use small filler flowers to add lushness. 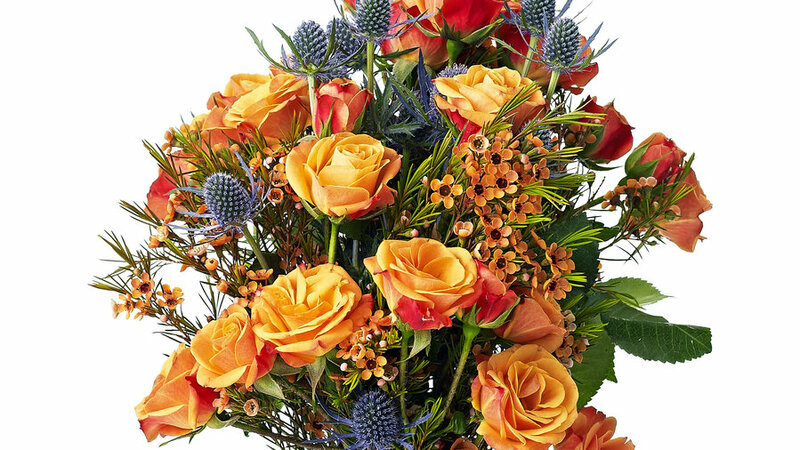 Flowers pictured: Orange Geraldton waxflower (Chamelaucium uncinatum), purple sea holly (Eryngium amethystinum), and orange roses. Here’s a foolproof approach to arranging: Mix several shades of one color. 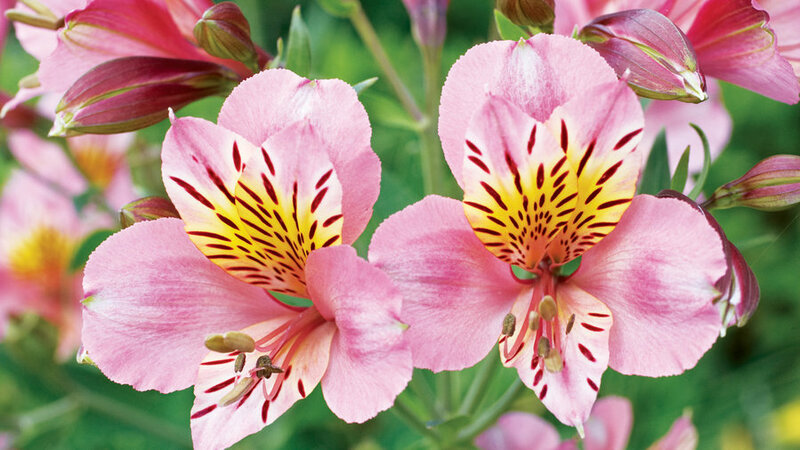 To add interest, vary the flowers’ scale and textures—frilly to smooth. The more foliage, the more subdued the look. 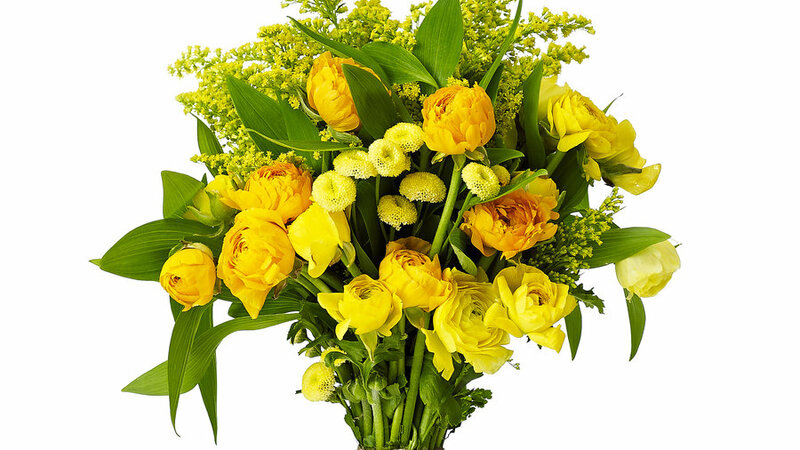 Flowers pictured: Goldenrod (Solidago), ranunculus, alstroemeria foliage, and santolina. Hues that sit next to each other on the color wheel (“cousins,” as Prinzing puts it) make for harmonious bouquets. Blues and purples will feel tranquil together; reds and pinks, more energetic. “Green counts as neutral since it’s the color of so much foliage,” says Prinzing, who uses it heavily in her arrangements. Large leaves make great frames. Flowers pictured: Deep purple pincushion flower (Scabiosa atropurpurea), pale pink lisianthus (Eustoma grandiflorum), pink-tipped hellebores, bright pink rice flower (Pimelea), and green arum leaves. 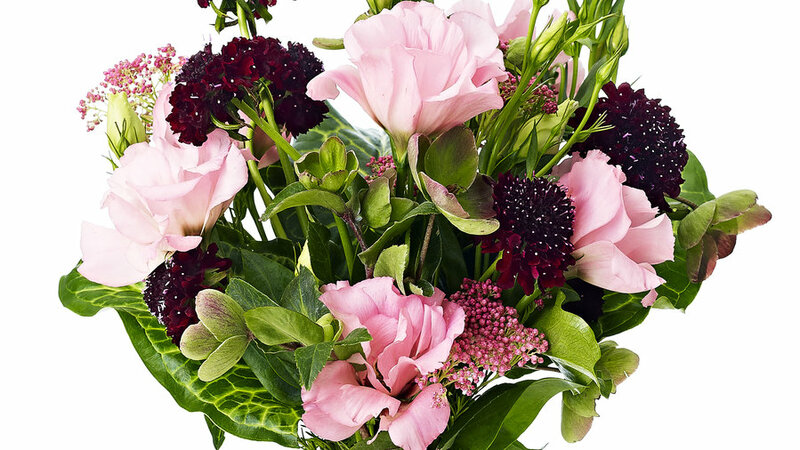 For more tips on flower arranging, watch our video tutorial.